Suicidal thoughts are common. While suicidal acts, threats, and attempts are less common, it’s important to recognize that Montana has ranked in the top 5 states for highest suicide rate in the nation for the past 40 years. 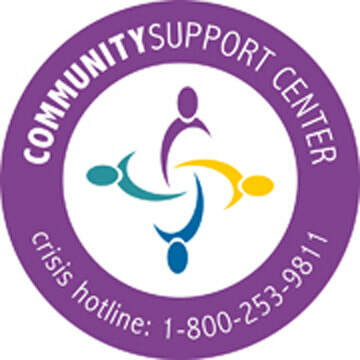 Moreover, between the years 1997 and 2011, Beaverhead County lost 29 individuals to suicide. QPR is intended to teach you and I (and everyone) how to recognize the warning signs and clues of someone who may be contemplating suicide. While the idea that suicide may seem to be an acceptable solution for the insoluble problems and the pain of existing for some, it does not have to be the chosen route. QPR allows us as friends, family members, and co-workers to intervene and to offer hope through persuasion. QPR prevents suicide and saves lives. QPR is an hour long training that can occur anywhere, at any time. It is applicable to a group or to an individual. 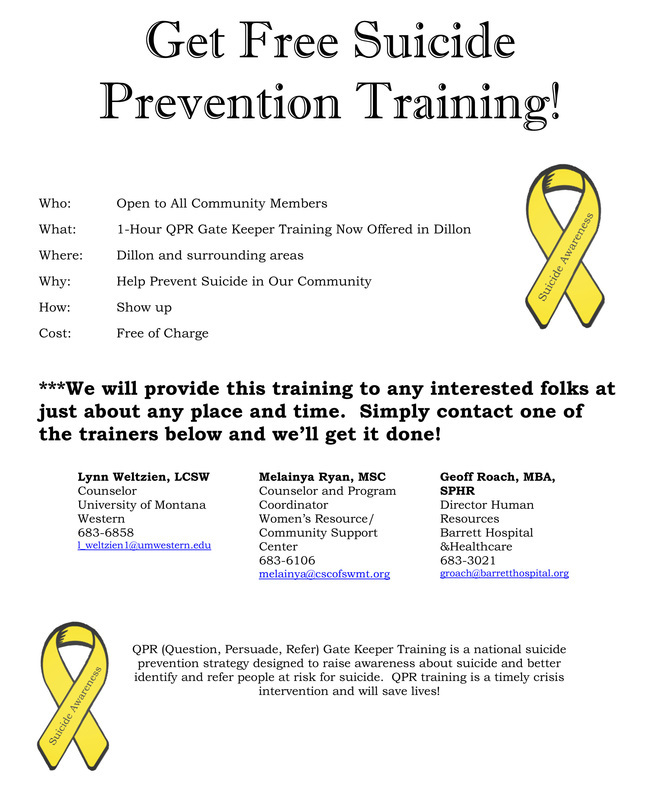 It’s our way to create conversation and assume responsibility in preventing deaths due to suicide. Let’s start talking about it!